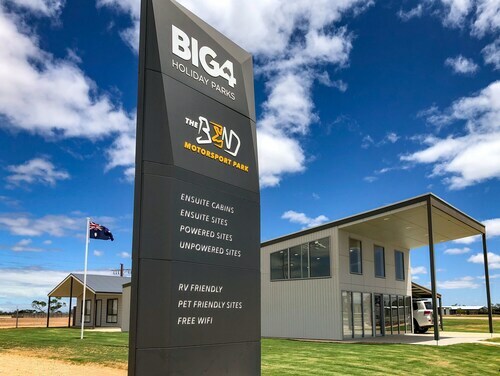 Situated in the entertainment district, this hotel is 2.1 mi (3.4 km) from Bend Motorsport Park and within 6 mi (10 km) of Tailem Bend Golf Club and Rogers Park. Old Tailem Town is 10.7 mi (17.2 km) away. 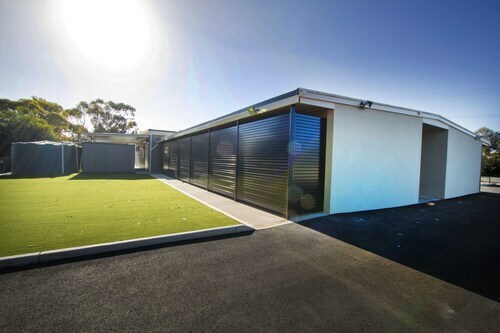 Situated in Tailem Bend, this holiday park is 2.1 mi (3.5 km) from Bend Motorsport Park and within 6 mi (10 km) of Tailem Bend Golf Club and Rogers Park. Old Tailem Town is 10.7 mi (17.2 km) away. Situated in Tailem Bend, this motel is within a 15-minute walk of Rogers Park and Tailem Bend Golf Club. Old Tailem Town is 1.6 mi (2.6 km) away. Tailem Bend Station is only a 4-minute walk. Situated in Tailem Bend, this vacation home is within 1 mi (2 km) of Rogers Park and Tailem Bend Golf Club. Old Tailem Town is 1.8 mi (2.9 km) away. Tailem Bend Station is 12 minutes by foot. Tailem Bend is a fantastic location to see, with a neat little list of available hotels. There are 2 located less than 5 kilometres from the centre of the city. You won't be too far from the main streets at the Lyrabendi Farmstay and Motel River Bend. If you find yourself needing more accommodation options in Tailem Bend, consider the Balcony On Sixth Lodge and the Murray Bridge Motor Inn. They are located 25 kilometres and 20 kilometres away from the city's main streets. Wotif also suggests the Oval Motel and the Bridgeport Hotel. The first is 25 kilometres away from the city, while the second is 25 kilometres away. If you'd like to go to some close by localities, try Murray Bridge and Strathalbyn. Journey 25 kilometres to the northwest from Tailem Bend and you'll discover Murray Bridge. That said, Strathalbyn is 55 kilometres to the west. 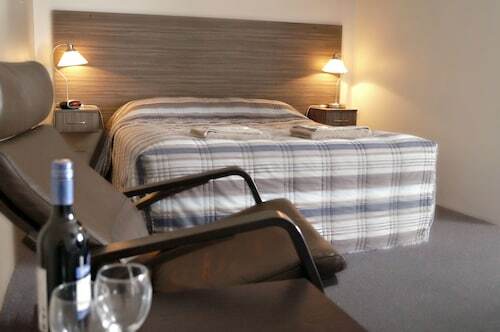 Accommodations in Murray Bridge are the Adelaide Road Motor Lodge and Murray Bridge Caravan Park. The Strath Motel and Victoria Hotel - Strathalbyn are some of the choices in Strathalbyn. Aussies are world renown for their passion for sport, so why not visit Adelaide Oval? Adelaide Oval is located to the northwest of Tailem Bend. Those wanting to sleep close by can choose from the Adelaide Heritage Cottages & Apartments and the Buxton Manor. Travellers planning on arriving or departing through Adelaide International Airport might like to book a room at the Seawall Apartments or the Stamford Grand Adelaide, both of which are a short drive away. How Much is a Hotel Room in Tailem Bend? Hotels in Tailem Bend start at AU$70 per night. Prices and availability subject to change. Additional terms may apply.